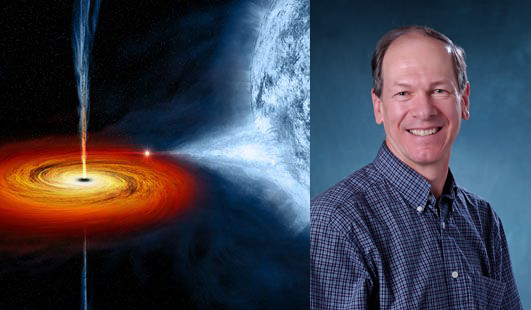 March 18, 2015 – CU Professor John Bally will give a talk entitled, “The Violent Life of Massive Stars,” as part of the Space Series presented at Chautauqua Community House in Boulder, Colorado. The talk is open to the public and will begin at 7:00 p.m. on Monday, April 13. Bally will demonstrate massive star birth, evolution, and demise with the latest images from ground and space-based observatories. Massive stars light up and drive the evolution of galaxies, forge most of the chemical elements on the periodic table, and die in supernova explosions that create neutron stars and black holes. Bally is a professor in the Department of Astrophysical and Planetary Sciences Center for Astrophysics and Space Astronomy (CASA) at the University of Colorado, Boulder. He gives talks on astronomy and cosmology to the general public and amateur astronomy groups and co-authored the book, “The Birth of Stars and Planets,” with CU-Boulder’s Bo Reipurth.